how to extract a model of people from the game?????? when i rip my model it comes shattered .. where did i go wrong can someone help me plz. @ Max20 : THANK YOU x a Million!!! It worked!!! Thank you thank you!!! 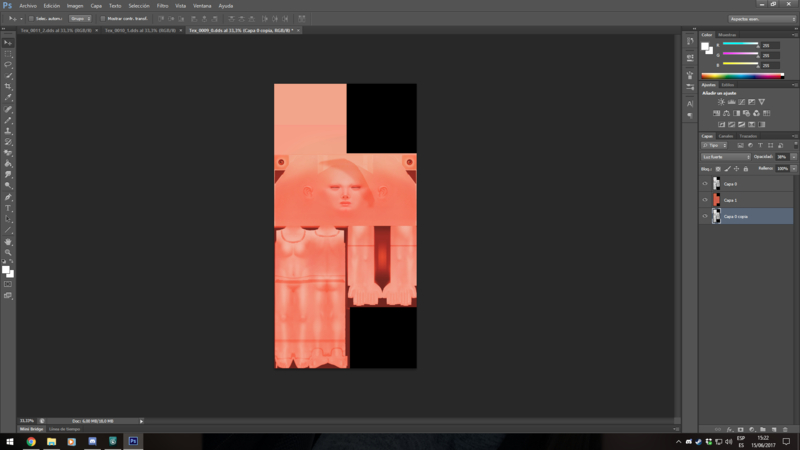 Hello, I'm not able to get the skin texture as the picture shows. 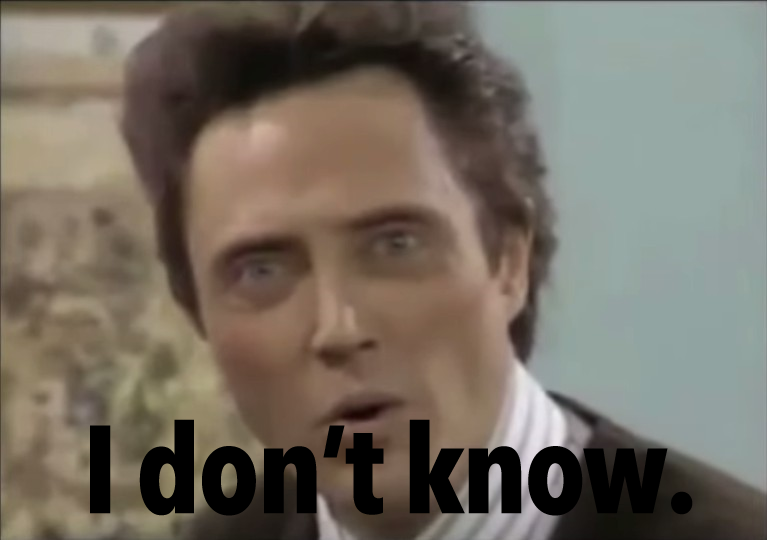 Can you please explain it again? max20 I get something like this. The gray layers are opacity 38%, hard light. The colored one is pin light. 100% opacity. Is that right? ryone , the colored layer should be in hard light, and top grey layer (nr 3) in pin light. 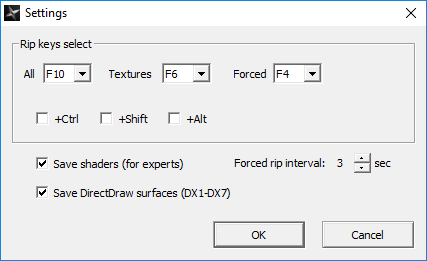 When I set to DDRAW, ninjaripper does not rip any model when I pressed F10, how can I do? meshsquad my friend, my sims still morphed and I capture sims using ninja ripper with intel HD graphic and nvidia gtx, maybe you capture using amd graphic card and result your sims become default (no morphed) in 3ds max. 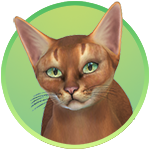 Hi, I try to capture my sims, but impossible, there is no file, it does not seem to capture, and I do not know why, because it's because I have DirectX 12, but I do not know how to go back to an earlier version. Help please, I do not know how to do and I'm desperate. My sim and very bad render from 3DS Max (I blended together a few extracted textures and assigned as a map in 3Ds Max). I imported the head in blender and scaled it down but have now idea how to rig it. 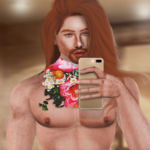 So if anybody is willing to try I can share the link privately (this is my ingame sim ). As for the map, I think it's better to extract textures using S4S. max20 you can try to rip a model by using ninjaripper (it's freeware). But it extracts the body in parts (hair, head+all accessories on it etc.). 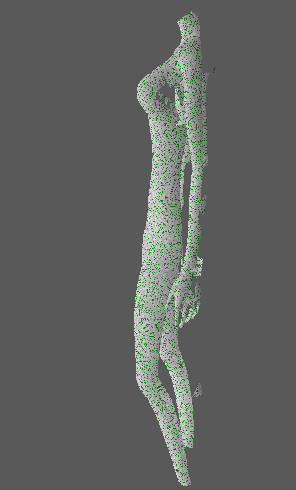 It can be extracted in 50-80 parts (depends on what's on sim at this moment) and textures in .DDS format. It's not rigged and I wasn't able to export UV correctly. But may be you can figure out by fiddling around. You'll need 3Ds max or Noesis to import .rip files. 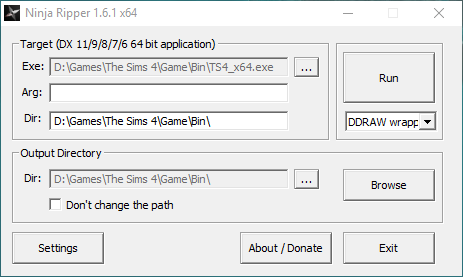 Don't know any other way to export real sims from the game. 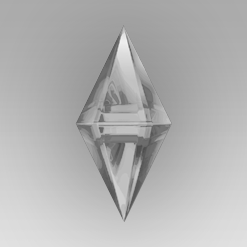 It's my rip from CAS (sorry for bad render, I am horrible at rendering). Agree. 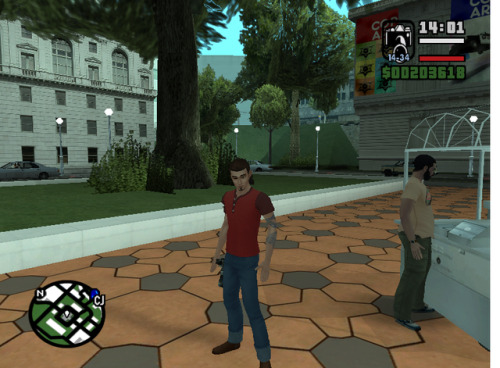 In the end, I managed to get my program to work, at least from a port that had DX11. But now I have other different problems. Thanks to you I have been able to reposition the texture and the UV correctly, so perfect. I tried to make a sims similar to my sister, it is a chubby girl, wide face and I have been shaping it over a photo of her for greater fidelity with her features, but the head that I open in 3DMax that captures Ninja Ripper has no nothing to see, is not the same. 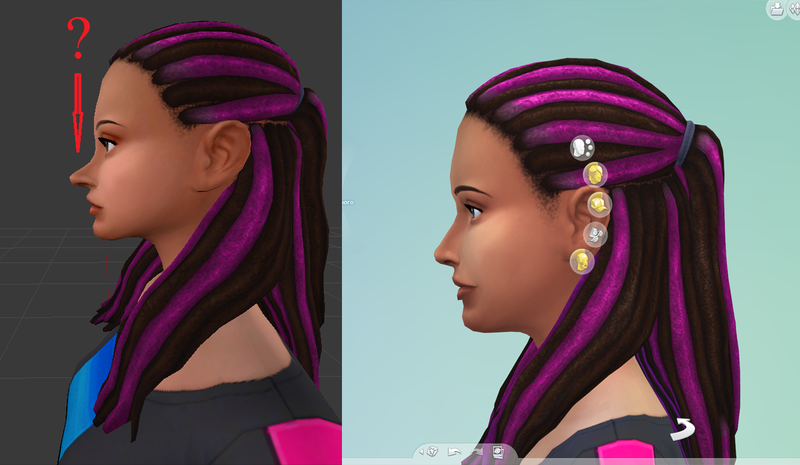 The sims that rippea, has other features on the face as the standard sims of maxis, and the thin body and I do not understand why. 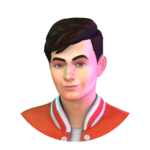 I have the hope that it is possible, because here I see sims exactly as in the game as is the case that I have quoted from Feyona. For example here the same happens to max20 , really the face that has exported has nothing to do with the one that has created in the game, the bigger ears, the jaw, and the length of the face is different. Feyona У вас тоже так получилось? Can someone explain to me why this happens to me, and is the difference so great? Can it be my version of Ninja Ripper? What do you use Feyona ? Hi all, can anyone help me pls? 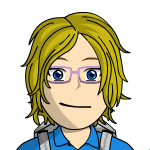 I have two avatars in Sims 4 that I try to extract with ninjaripper. But it even does not start. I guess I have to force it to start in dx11, but everything I try dies not work. Anyone a golden hint for me? Or if anyone in the mood could send the sgi files. Its a shame that this doesn't work anymore, if it does can somebody point me in the right direction?